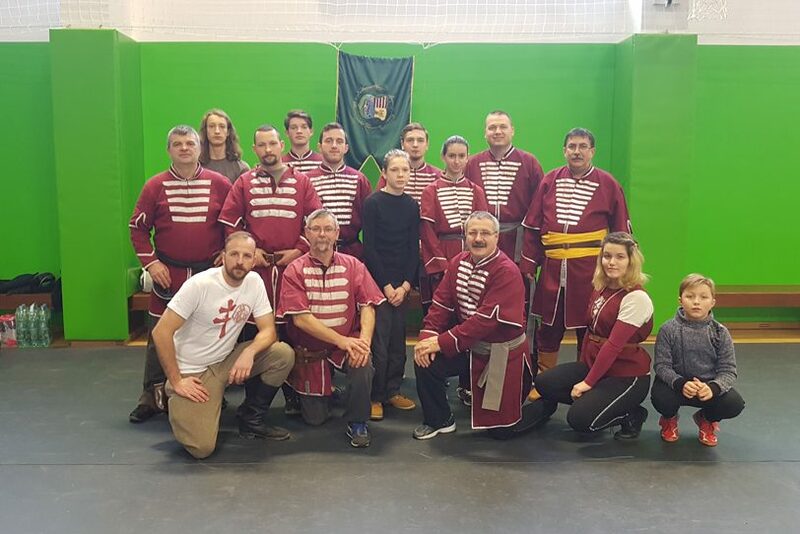 It became a tradition that every year, around St. Bálint’s day, the Balassi Sword Fighting Cup is organized. On 17th of February this year, the tournament was held in Karácsfalva (Karacsin), Ukraine. The event was welcomed by the greek-orthodox high school gym in the above mentioned city. Participating for the Losonczy István Hagyományőryő és Sportegyesűlet Association, Maximilian Babău won the golden medal in the Kese category. In the Őskű category, the bronze medal was won by Kabai Zoltán. In the Csikó category, Andrásy Tamás had a laudable perfromance, obtaining the 6th place. During this event, the participants met the home team members and became familiar with the low standard of living of this city, compared to the one of the székelys in the Székely Land back home in Romania. For example, the monthly rent of a mini-mall is only 225 lei. Despite all of these inconveniences, the enthusiasm of the hosts is reflected by the activity of Szilaj István who established Baranta in just three months in four location around Karácsfalva. Our team, along with the Déli Tűzek Őrzői team visited on sunday the Rákóczi family domain and also the fortress of Munkács where the witer and the linguist Kazinczy Ferenc was imprisoned. The members which make up the team from Timișoara were: Cziprián Kovács Kinga, Andrásy Tamás, Kabai Zoltán, Szántó Zoltán, Babău Maximilian, Benedek Márk, Benedek Áron, and Erdei Lajos. We would also like to thank Benedek Áron and Szántó Zoltán for the memorable road that they offered while driving along the beautiful landscape of the subcarpathian region.